Debbie Smith is a contemporary acrylic painter best known for her representational style and use of strong colour. 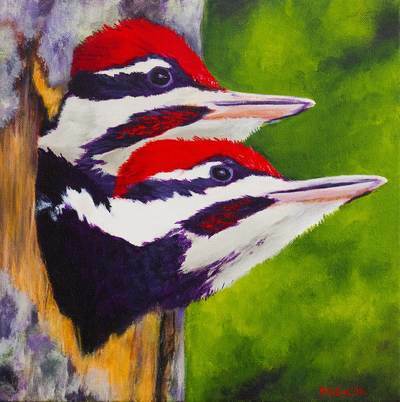 A long-time member of the Peggy’s Cove Area Festival of the Arts, Debbie has exhibited in solo shows in her studio The Loft, and has participated in several group shows with the Crossroad Artists. 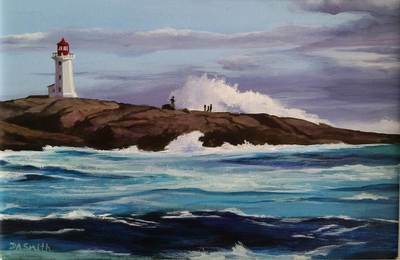 Born in Nova Scotia, Debbie now lives in the St. Margaret’s Bay area. 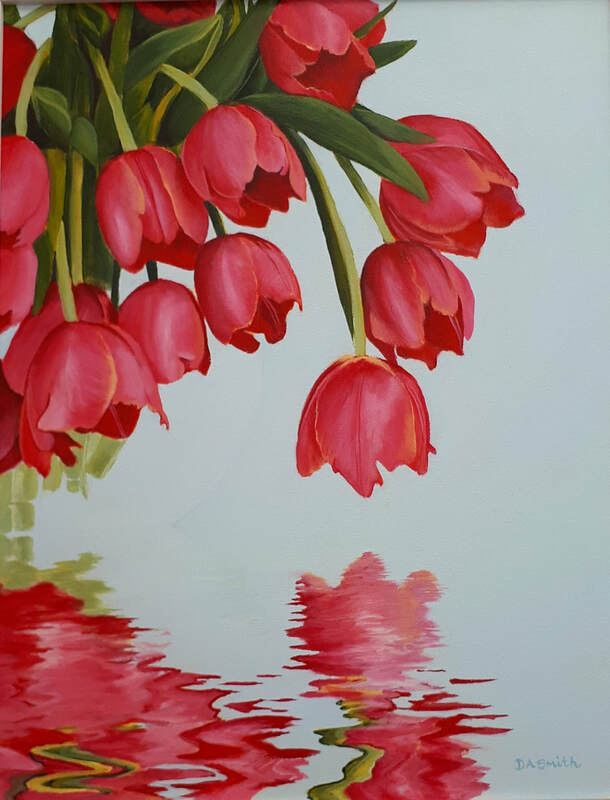 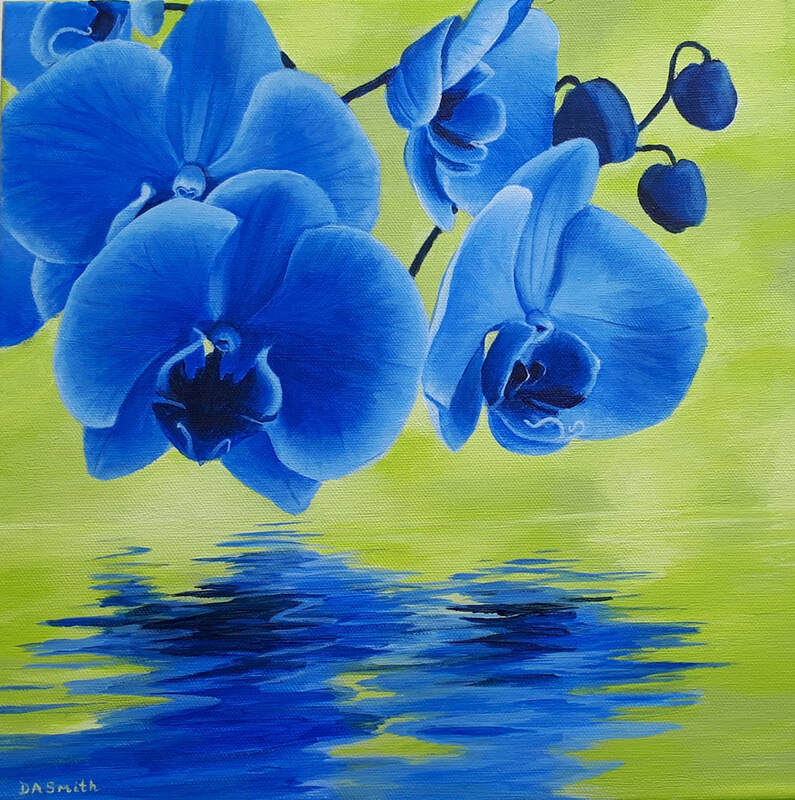 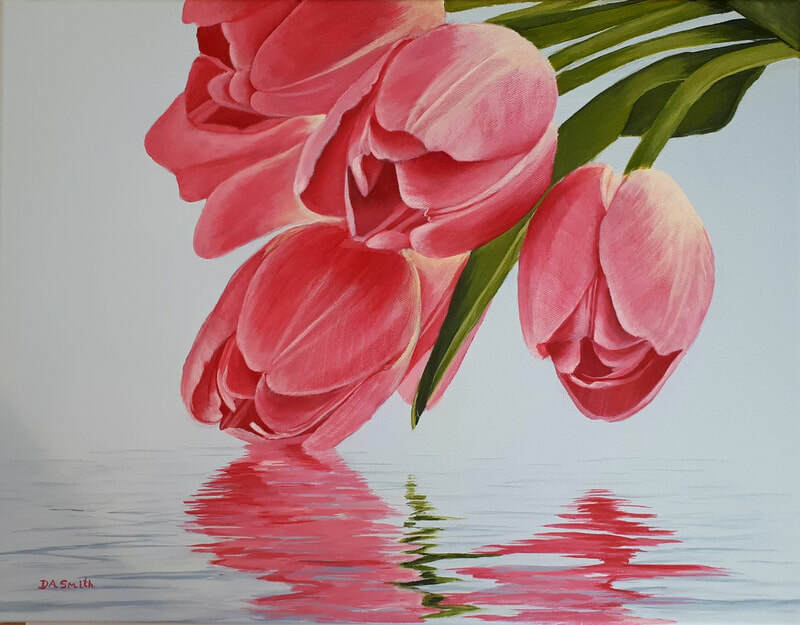 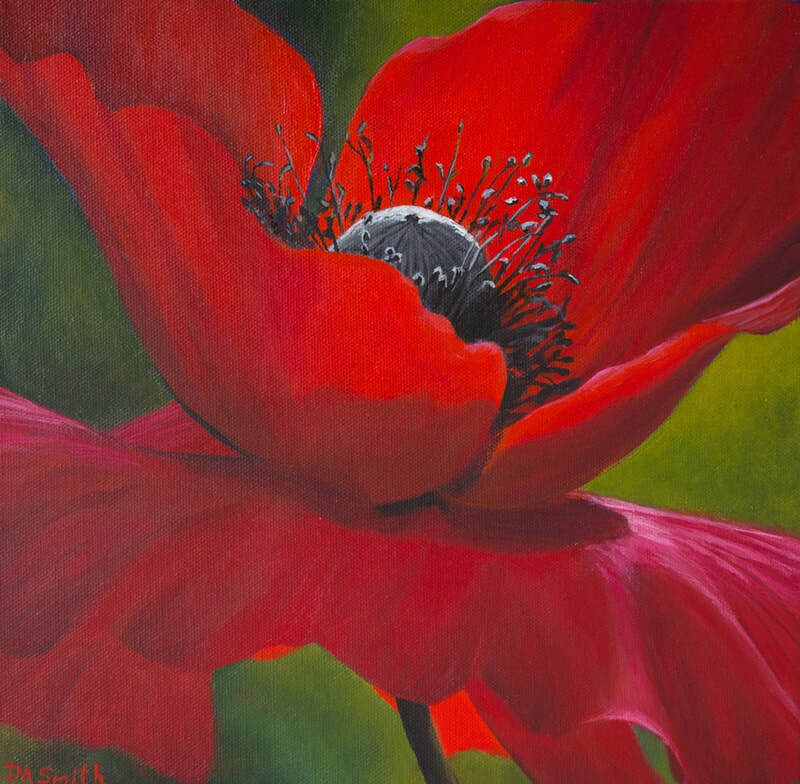 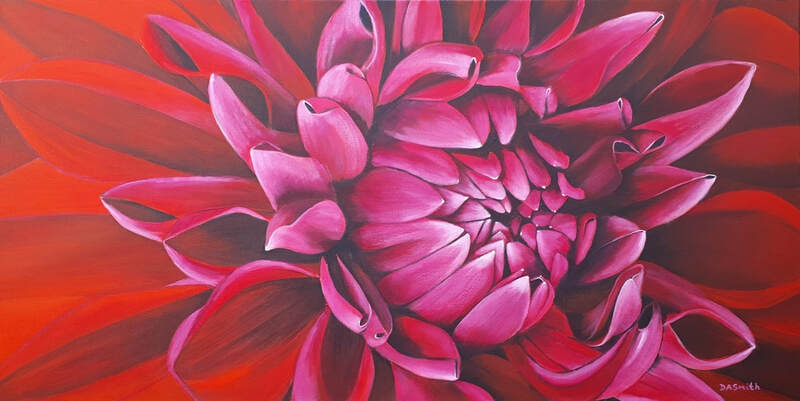 Her paintings are mostly acrylic on canvas and her signature work consists of stunning,close-up flowers in bold colours. My art is inspired by intense colour and the play between light and shadows. 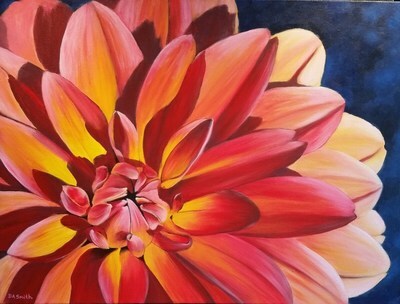 I love painting flowers, magnified so that the petals and the innermost whorl provide focal points. 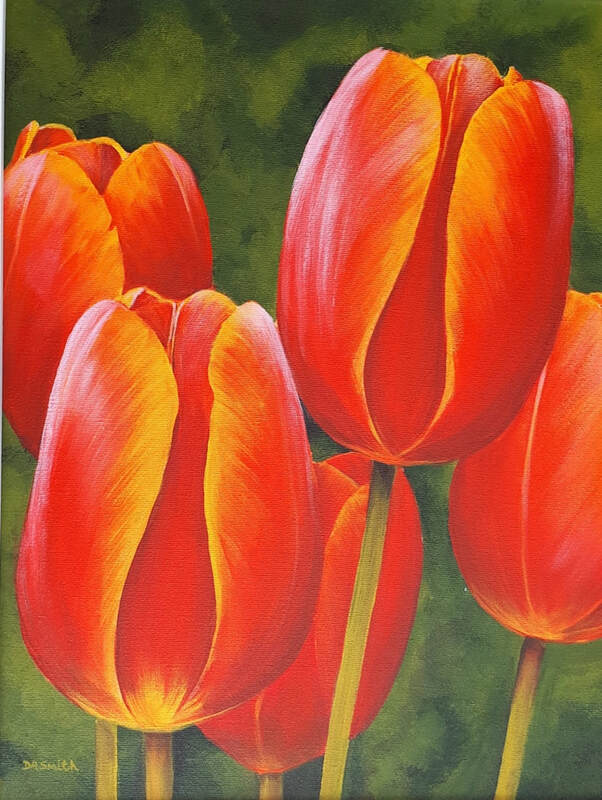 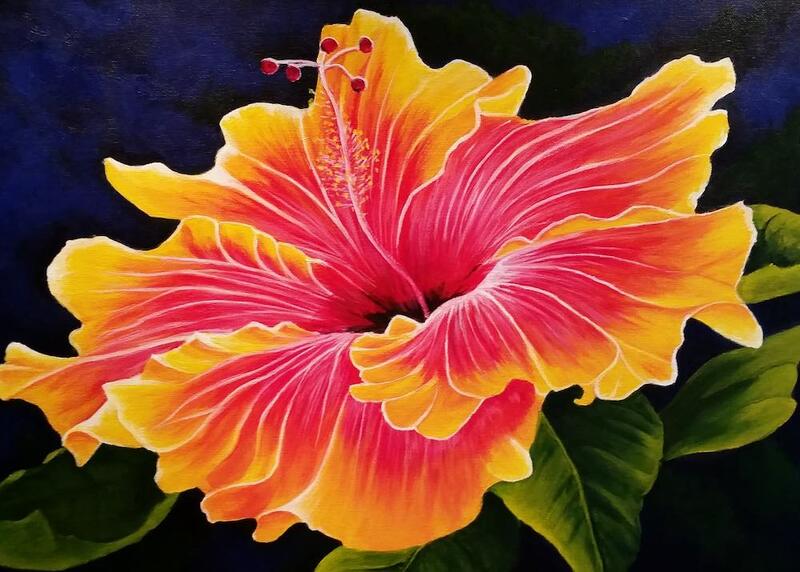 Although I begin with large brushstrokes to create rich, dark backgrounds, I switch to using fine brushes and blending brushes to complete the flowers. 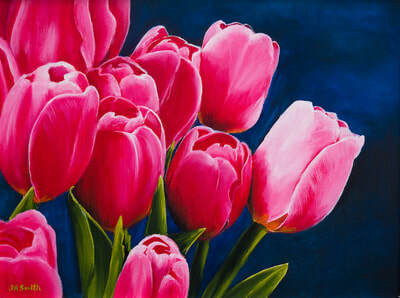 My goal is to create a compelling and stunning composition. 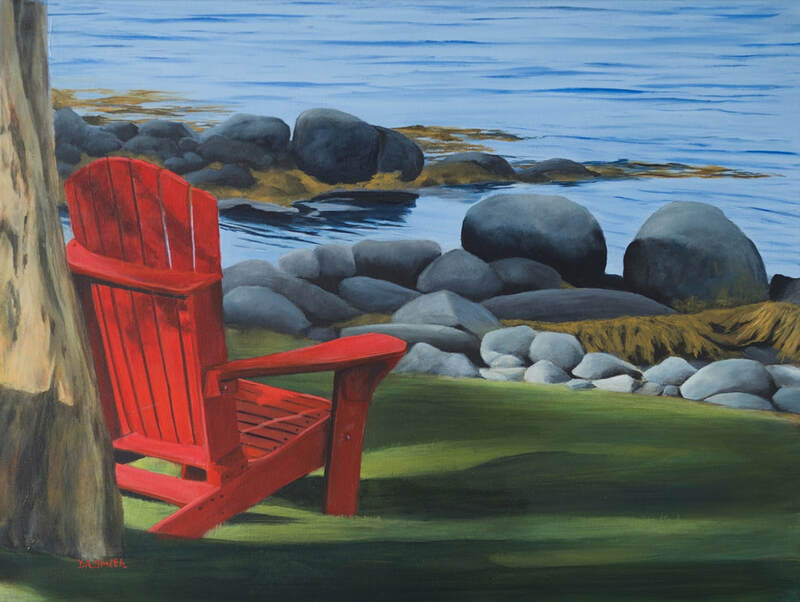 Other themes in my work include forest landscapes in bright fall colours and seaside retreats with Adirondack chairs – red, of course.